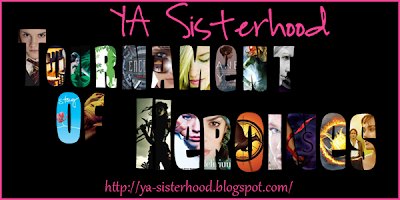 The YA Sisterhood: Match #3: Annabeth (Seed #9) vs Kat (Seed #24) goes to KAT! Match #3: Annabeth (Seed #9) vs Kat (Seed #24) goes to KAT! Secondly, You are welcome to write your own comments about either character in the comments section, but we will not tolerate rudeness. The minute it crosses over from logical argument into character bashing, your comments will be deleted and your vote canceled. POLLS WILL BE OPEN FOR 24 HOURS AND WILL CLOSE AT 12:01AM EST ON DECEMBER 4th. You can find me on Twitter here. (@kadburytweets). You can also check out my blog here! (My blog is a YA book blog feel free to say hi in the comments !) 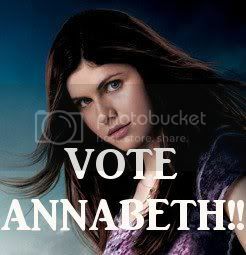 Help me Spread the word about #TEAMANNABETH please!! "Always, Always have a plan." Annabeth's blonde with stormy green eyes and she's pretty but she pretty much ignores guys who call her pretty (She prefers it if you call her smart!). She's the daughter of Athena a.k.a. the goddess of wisdom, courage, inspiration, civilization, warfare, strength, strategy, the arts, crafts, justice, and skill. So, Annabeth has believe it or not inherited a lot of things from her mother(see list above). 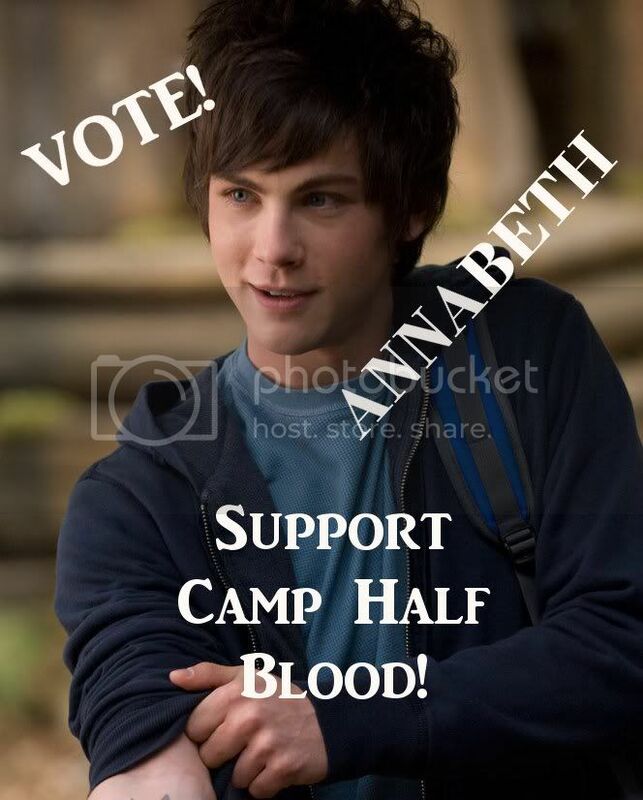 She's a demigod and her home is Camp Half Blood! Even though her mother abandoned her she doesn't hold a grudge against her because she understands her mother's reasons! Percy: Don't I get a kiss for good luck? It's kind of a tradition. Annabeth: Come back alive Seaweed Brain then we'll see. I did mention she's smart right? He turns to Annabeth! She's also pretty handy with a knife. Beauty and brains is a deadly combination and she sure knows how to use that knife! She's reliable and an extremely hard worker! If Annabeth says she'll do it. Consider it done! She doesn't back down!!! 'I've been waiting a long time for a quest, seaweed brain. Athena is no fan of Poseidon, but if you're going to save the world, I'm the best person to keep you from messing up." 1. A woman noted for courage and daring action. Annabeth has risked her life to help Percy countless times. She's risked her life for too many people and she's very courageous!! You just need to read the series and courage is written all over Annabeth's face! 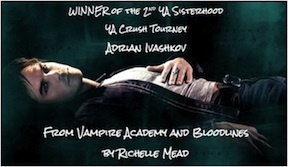 Once she was gone, I knelt next to Annabeth and felt her forehead. She was still burning up. "You're cute when you're worried," she muttered. "Your eyebrows get all scrunched together." "You are not going to die while I owe you a favor," I said. "Why did you take that knife?" "You would've done the same for me." It was true. I guess we both knew it. Still, I felt like somebody was poking my heart with a cold metal rod." 2. A Woman noted for special achievement in a particular field. She's smart and nobody can prepare strategies like her!! She's not got a power like Percy's (i.e. power to control water) but she's got a power that counts and that's wisdom and courage! "Money bar," Annabeth said. I'm great at these." She leaped onto the first run and start swinging her way across. She was scared of tiny spiders, but not of plummeting to her death from a set of monkey bars. Go figure. Annabeth is also different from all those other so called "heroines" who fall head over heels in love with guys they barely know. She's someone I can actually look up to. She's not cold and calculating ....she's humane! "What if it lines up like it did in the Trojan War ... Athena versus Poseidon?" "I don't know. But I just know that I'll be fighting next to you." "Why?" "Because you're my friend, Seaweed Brain. Any more stupid questions?" There are quite a few similarities between Kat and Annabeth but one thing that makes Annabeth better.... is the fact that she's never backed down. Kat left her family business (or should I call it job?) to live a normal life and even though I don't hold that against her I have to point out that Annabeth can never back out of her responsibilities and try to live a normal life! She knows too many people depend on her. Also, Kat doesn't trust anyone even her best friend. Annabeth used to trust her friends but due to *spoiler alert* Luke *Spoiler alert* she doesn't trust that easily anymore but she doesn't keep her friends in the dark. I'm sorry Kat but you should keep your team in the loop. When Percy thinks Annabeth hates him Annabeth sets the record straight.....that's something I don't think Kat would have done. "Remind me again-why do you hate me so much?" She folded her cap of invisibility. "Look...we're just not supposed to get along, okay? Our parents are rivals." "They must really like olives." Kat also comes off as a very cold calculating person, something which I didn't really like. According to me, you should be able to relate to your heroines but due to her cold demeanor I found it very hard to relate to her and like her. Annabeth is calculating (she has to be or Percy and all those other would die) but she never came off as cold. I love it when we get a peak into what Annabeth is thinking and how awesome she is!! 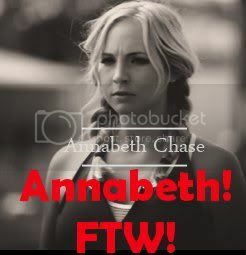 People Annabeth rocks and you all know it right? Right? If so PLEASE help spread the word!!!! Feel free to grab these buttons too!!! Intro: This is Amy @ bookgoonie. 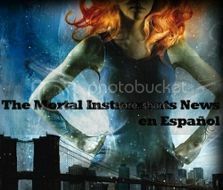 I am honored to be an advocate for Katarina Bishop from Ally Carter's Heist Society series. Please get the word out by tweeting #HeroinesTourney and "I voted for #TeamKat". "Travels the world, righting wrongs. 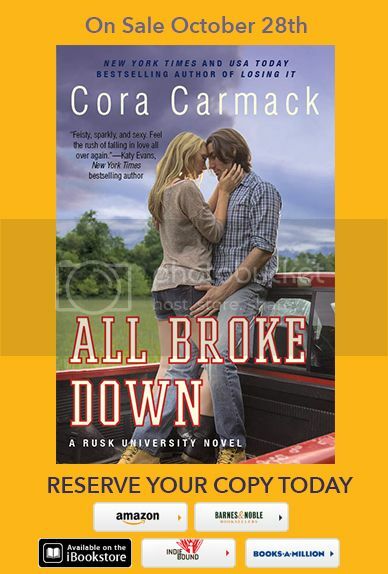 A one-woman recovery crew." About Her: Katarina Bishop was raised in a man's world. Her mother died when she was six and was brought up by her dad and uncle. Nancy Drew wasn't just stories, but every book a lesson to be learned. Her education wasn't conventional. She was tutored in the family business. Art. So history, science, english, theater, math, and economics were all geared to acquire and not get caught. As a young adult, she started blazing her own path. Reposession specialist with a focus on returning Nazi plunder. Best Attributes: Kat is a strategist. A genius strategist. She is known for her "lethal focus." She can walk into a location and zero-in on all the security obstacles. And if that doesn't satisfy her, she can employ her acting ability or the creative use of doves to identify any hidden or alternative ones. Why does this matter? Kat will not endanger any of her crew. No member left behind, no one hurt, no one in jail. Failure isn't an option. She loves her family. Kat is fiercely loyal to her family, friends and crew. They are one and the same. She is realistic in her abilities and has the capacity to learn from her mistakes. She doesn't accept money for her services. Kat is paid in knowing that she is undoing some of the biggest art heists of the century. 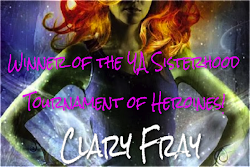 What makes your girl a true heroine? She is a girl. No superpowers. Ordinary and Impossible aren't in her vocabulary. She is not a theif. Kat made a conscious choice to use her abilties for noble and worthy causes. This not-so-average tean has bested the KGB, Interpol and even a Curse. She has even won the respect of the current Visily Romani, the big dog in the art theft world. What's her Achilles' Heel? All heroes need a weakness. Kat is vulnerable. She is unsure of love. Is love a strength or is it a weakness? Can her best friend be her boy friend? But all this personal angst doesn't interfere with the job. You can always count on Kat. What makes your girl better than her competitor? Annabeth is a worthy challenger. She also had a rough upbringing with little support of her parents. She also finds strength from her friends. But her abilties are derived from being a demigod. Her mother is Athena. Would she fare as well, if she were a mere mortal? I think not. Anything else you'd like to add? 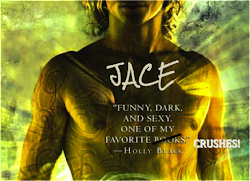 Kat is a great role model for YA readers. She is driven. Her work ethic and determination are something that can be copied by her readers. Not taking the easy out and always trying to do what is right are worthy character traits. So do what is right, Vote Kat.